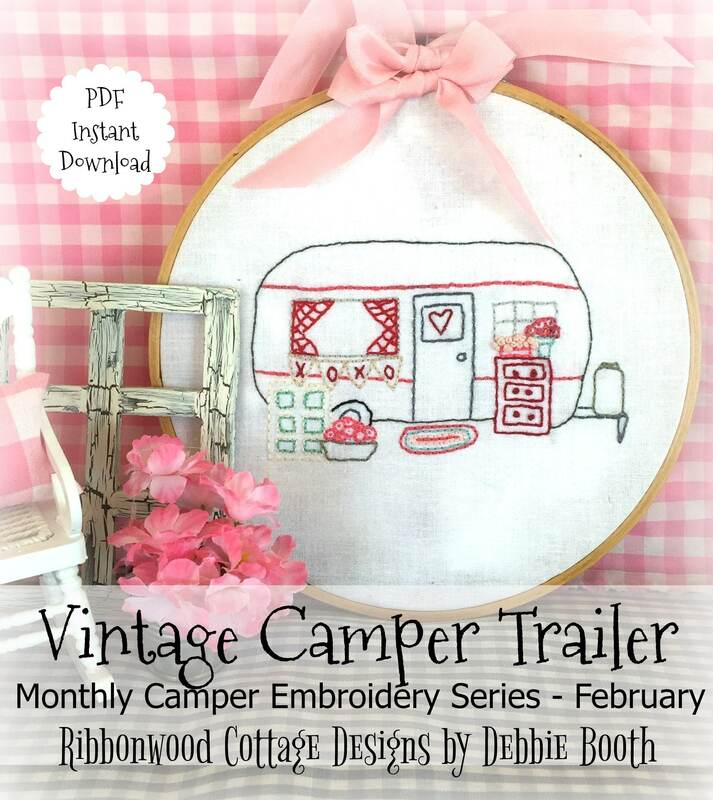 The files will include the stitching patterns for January, February, March and April! 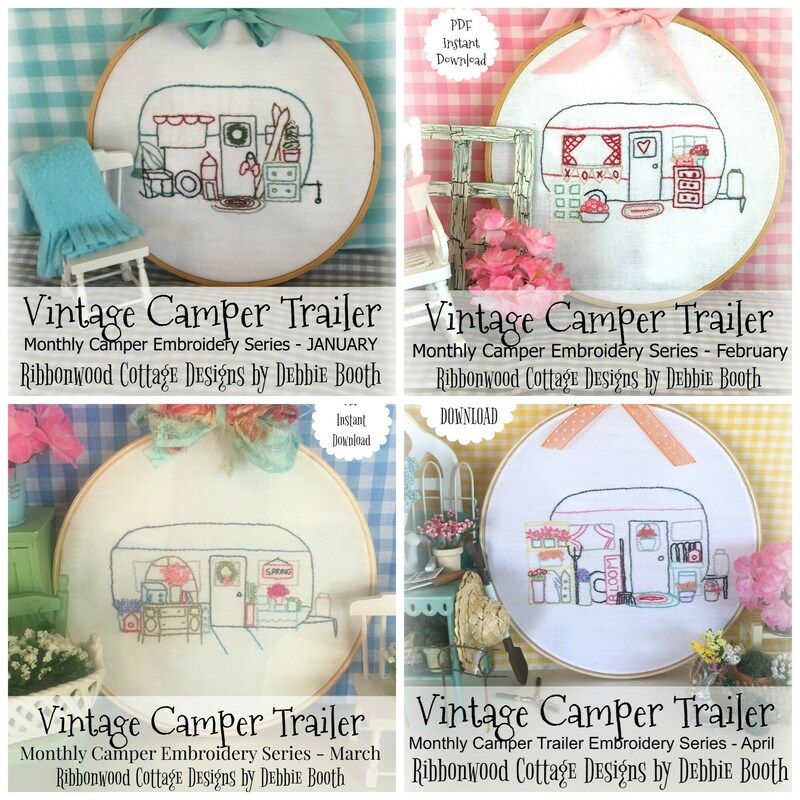 I have such fond memories of enjoying our Vintage Camper Trailer. 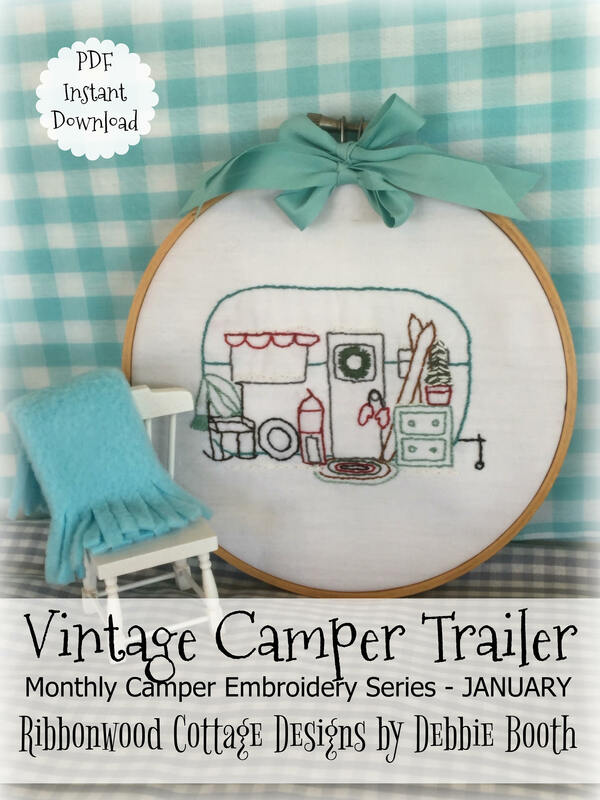 It seems natural to do a stitchery project that brings to life each season with special events along the way, and they are all celebrated in the Vintage Camper Trailer. 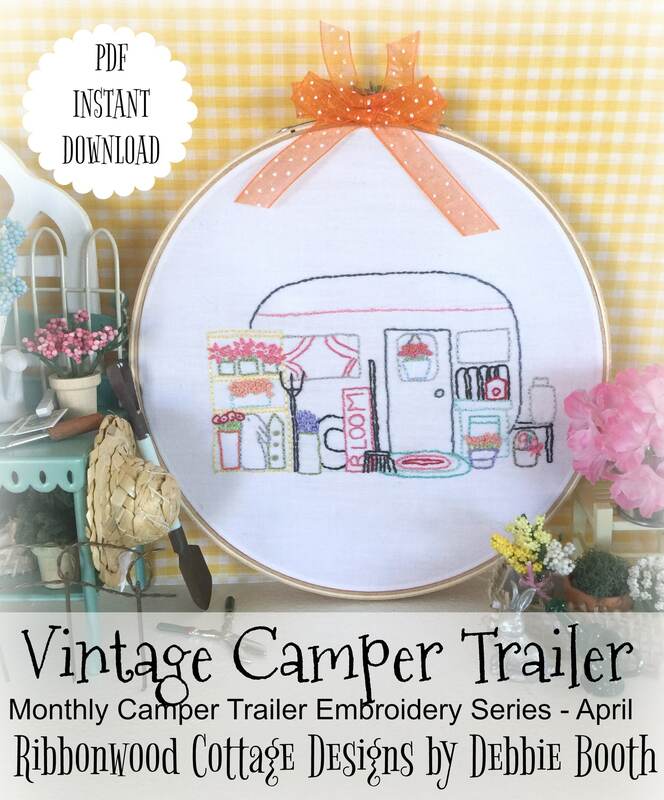 I was very young when we traveled in our little trailer, and there was a place for everything. Often my mother would have my brother and I eat outside if the weather was nice. She always had this area right outside the door decorated beautifully. Even though there wasn't much room, there were always little pots of flowers, and a small table to eat at. I remember my mom being very welcoming even in tiny quarters. She also taught me to sew and embroider, so this series is dedicated to her. This is a bundle embroidery set I'm offering for those of you who are doing several months or the year long embroidery series. At the end it can all be sewn together for a small but lovely lap quilt. 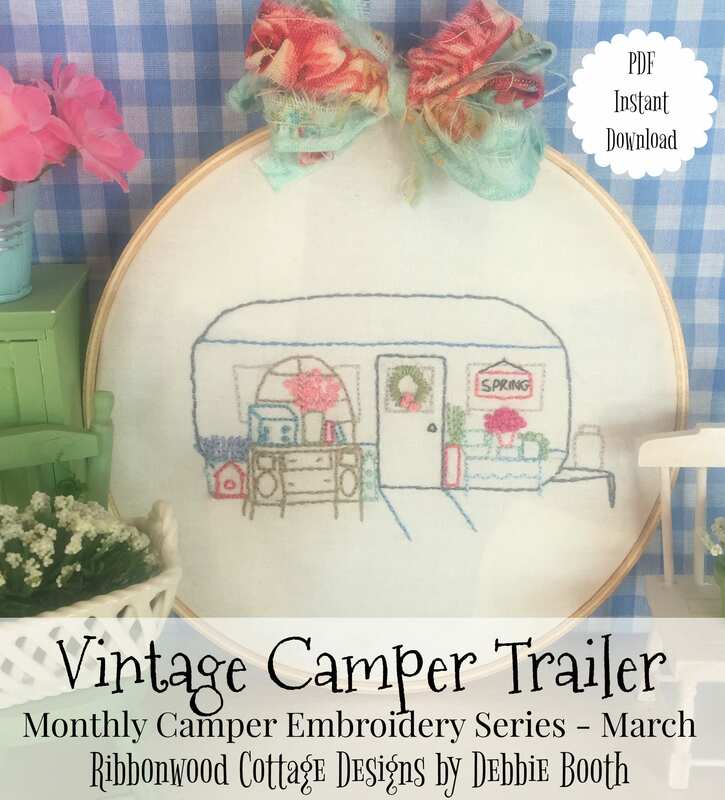 There will also be a bundle for May, June, July and August, and then a bundle for the last four months of stitchery patterns. Wait till you see what I'm doing for December. There will be very soon a smaller version of a winter pattern that can be made into an ornament! I've already finished it and it is adorable! Be sure to sign up for my newsletter on my blog to receive free patterns and seasonal discounts. Right now I'm offering a Free Farmhouse Garden Style Decor Ebook for all my customers! I'd love for you to get that too.